as various myths and legends tend to point at it. Coffee was moved around from Africa to Europe, then to the Asian continent and finally America. 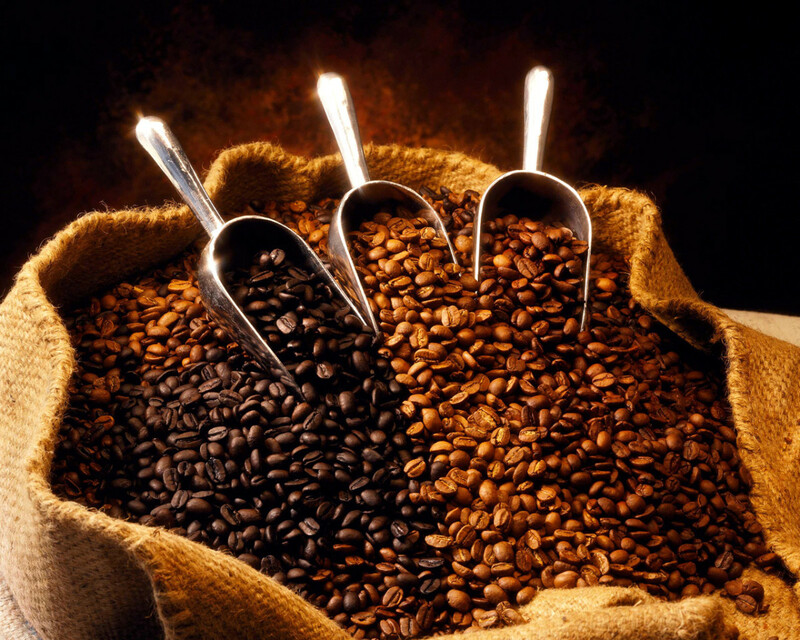 Surprisingly despite its origin land being in Africa, the largest producers of coffee worldwide are located in America. Brazil and Colombia are two of the greatest producers of coffee on the planet but we must include: Vietnam, parts of the Caribbean, some parts of Arabia and parts of Africa. 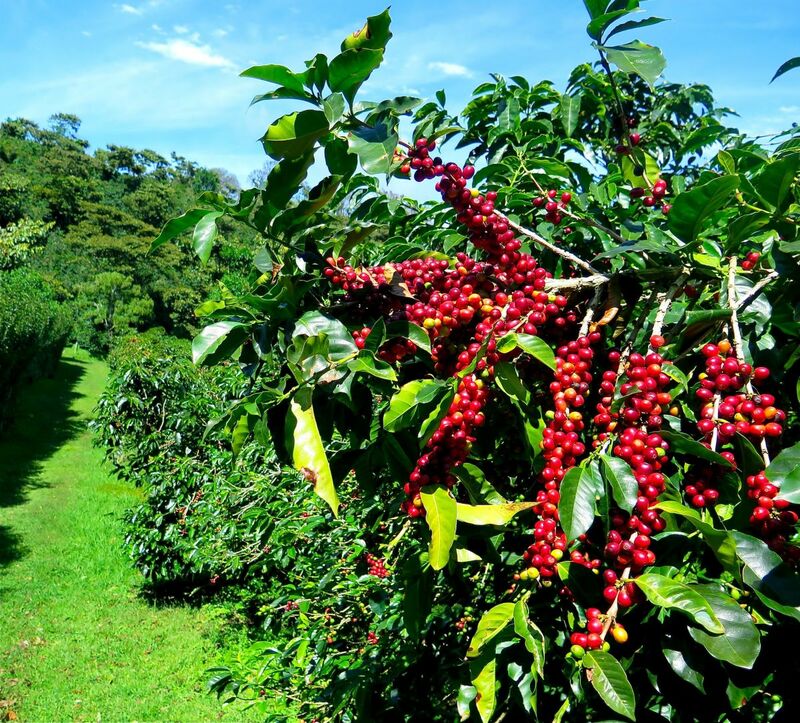 Coffee grows best in areas were dry seasons are well defined and there are abundant rains. This means coffee and freezing points don’t do well so try to avoid planting if you live in Alaska. Coffee plants enjoy moist soil that will drain well. Try not to over do it with the amount of water you add. Coffee plants are small evergreen shrubs that can grow up to an incredible 18 feet in height. Despite this, they normally grow up to 5 or 7 feet in height. They have glossy dark green colored leaves. These leaves are ovate and have ridges that are subtly pronounced. When blooming season comes around coffee plants blossom with white flowers that pop up in clusters. These flowers possess five petals each and are pretty minute. Once the flowers fall, the coffee cherry begins growing. It changes in color from green to bright red and finally adopts a dark red color once it is full and ripe. Coffee is a drink we all share and love. It gives us energy when we desperately need it and gets our day going. Prepared with roasted coffee beans and brewed in many different ways, we can all honestly say that we need coffee in our lives. The beans are grown in about 70 countries and coffee has been one of the most mass produced products in the world. Its invigorating effect, its amazing taste, there really is no wonder as to why we like coffee so much. We have to be careful with this love though. With its many attributes and nutrients, the consumption of coffee is a great one. We cannot abuse it though as it could bring serious addiction and dependence on something that at the end of day is still just a delicious stimulant. Its attributes, qualities and its role in our life has to be decided by us. Knowing this, we have to know all the ups and lows on this beverage to see if we want to consume and when we should consume it. 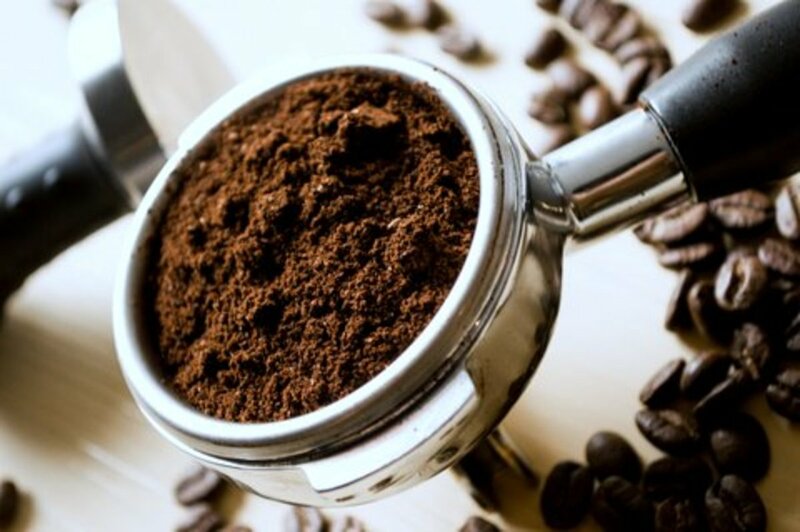 Here are some essential facts everyone needs to know about coffee. Don't drink it in the morning: What? Yes. Coffee should not be a fix-me up. It is a drink to enjoy and get benefits out of, not medicine to take when you need to keep your day going. If you have a regular sleeping schedule and a healthy diet, the coffee in the morning is not needed. There are two big reasons as to why people drink this at the beginning of their days. First, they need to wake up, and second, they have to get their bowels moving so they can go to the bathroom before work. With a healthy diet and correct sleep arrangements, this should not be needed though. When you wake up, your body naturally produces cortisol, a hormone in charge of waking you up. Drinking coffee at this time really does not help at all. If anything your tolerance to it will only get lower and you will need more and more each time. Your body and its bowel movements also work accordingly to the care provided to them. Good food, greens and fruits and no strong meals in the night should give you an easy time every day. Drinking coffee does help with the movements but depending on it is never healthy. 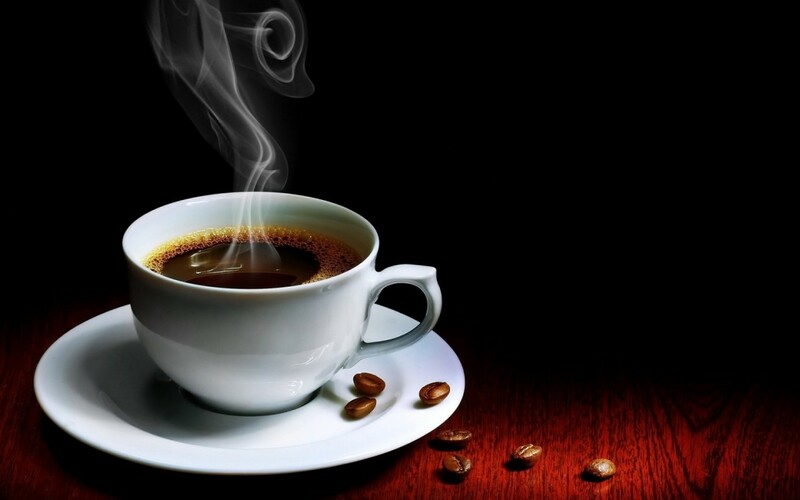 Caffeine boosts metabolic rate: roughly translated, a lot of weight is lost when having coffee in your diet. Because it accelerates your metabolic rate, not only is it good for some help in the bathroom but also to burn fat. This is only prominent in people that don't consume coffee every day or all the time, since the body is still not used to the extra stimulants. Coffee has many needed nutrients: vitamin B2, B5, Manganese, Potassium, Magnesium and Niacin can all be found in a good cup of coffee. These are great for your body and it's great to get them all in one beverage and all at once too. 100% Dominican Republic Organic coffe. Grown on Jarabacoa's explendid weather, Monte Alto coffee brings you all the freshness, taste and quality directly from the caribbean to your home. This lowers risks for many diseases and conditions: it is known and assured by many doctors and studies that coffee can be a bit of a life saver. Reducing many risks of heart disease, strokes, depression, certain types of cancer, and even some brain conditions, caffeine really has a lot to offer in the health department. These effects are most prominent in people that consume coffee in a daily basis though. One thing that I want to be let clear is that you know that it is only coffee that does these kinds of things. You might think you are getting all these nutrients and what not if you consume at least one cup of Starbucks every day but that is not true. As good as coffee from local stores like Starbucks is, many of these drinks are just sugary treats. They do not include a large amount of coffee but more milk, sugar, artificial flavoring and so on so forth. I guess what builds most of the drinks you buy already prepared is sugar though. It is a health concern as to how much sugar they really put in peoples cups these days. So be wary of that fact, you might not be getting caffeine but sugar mixed with a million other little things and a dash of coffee. 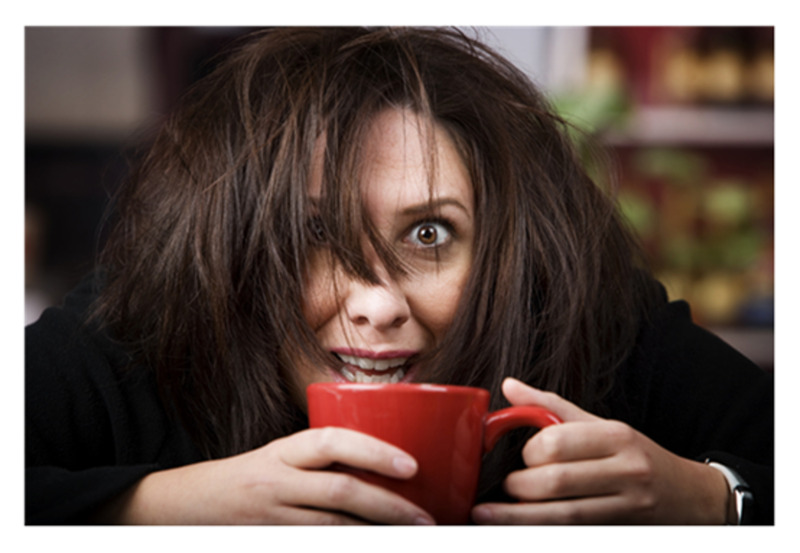 Coffee can cause insomnia: this one is self explanatory. A large intake of caffeine of a person who is not an avid consumer can lead to a restless night. The number of cups of coffee needed to achieve something like this is always different for each person but it is usually around 3 to 4 cups of it. Each individual knows when they have had too much though and if they should be consuming so much of it at all. Kids should not have any: sure the benefits are something that you may want for your kids but they still cannot handle the energy amplification they get with a simple cup of this stuff. No baby inside a womb or kid until the good teenager years should be taking any of this. It is also known that drinking coffee could increase the chances of them wetting the bed too, which is just another valid point to be added onto this case. A large amount can kill: we all know this one. Much like energy drinks too much is bad and could lead to a serious problem. There have been many documented cases of sudden heart attacks after already suffering quite a big deal of stress and having many cups of coffee. It does have to be a ridiculous amount but after building tolerance to it, anyone could get there. Coffee is a great source for many antioxidants and vitamins, there is no denying that. We want it in our lives, and it is definitely a good source of energy at any given moment of our week where things just seemed to pile up. All that is left is to treat this delicious drink with care and respect. There is no need to drink this 4 or 5 times a day, and especially in the morning when we don't exactly need it for anything. Perfect times to drink this are at 10:00 am and 1:00 pm, not 8:00 am. Treat it with moderation, get benefits out of it and try to drink homemade more than store bought since you known how you want it done. And now if you will excuse me, I'm going to get some coffee. Baptized coffee is a version of the Carajillo Spanish coffee. In the afternoon coffee, add a trickle of alcohol, rum preferable, to your normal coffee. Carajillo is prepared differently though. Put the ice in a transparent coffee glass and pour the liquor over the ice. Then pour the brewed espresso over the liquor and the ice. What is it, coffee with milk or milk with coffee? That is a question I get every time... Some people drink coffee with milk. Also known as a Cortado (Cut), where the cup is 3/4 full of coffee and a trickle of milk is added. The other way would be 3/4 of milk and a trickle of coffee. This last way of drinking coffee is great for those of us who like coffee but drink very little of it. Also, there is the Flat white. In this one, the proportion of milk equals the proportion of coffee. How good is coffee for you? Dominican Republic is one of the Caribbean countries that produces coffee. Now you can brew the perfect pot of coffee every time. Thanks to the easy-to-use features, the 12-cup capacity Frigidaire Professional drip coffee maker makes it easy to wake up and smell the coffee. The coffee strength selector takes the guess work out-choose from settings that range from regular to strong to get your coffee just right, every time. The water filtration system filter with replaceable charcoal filter filters the water for better tasting coffee.